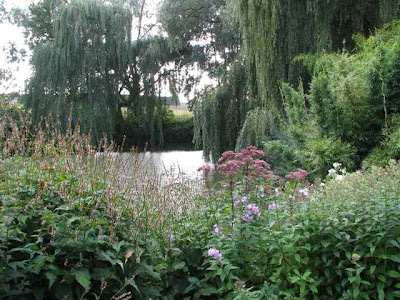 No garden lover could visit Britain without making the effort to see The Beth Chatto Gardens in Essex. 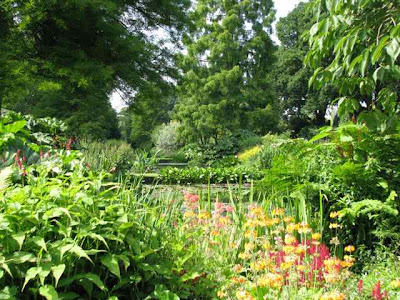 Seven acres of absolute, unadulterated bliss; and synonymous with rich planting, shade plants and magnificent displays of leaves and flowers. 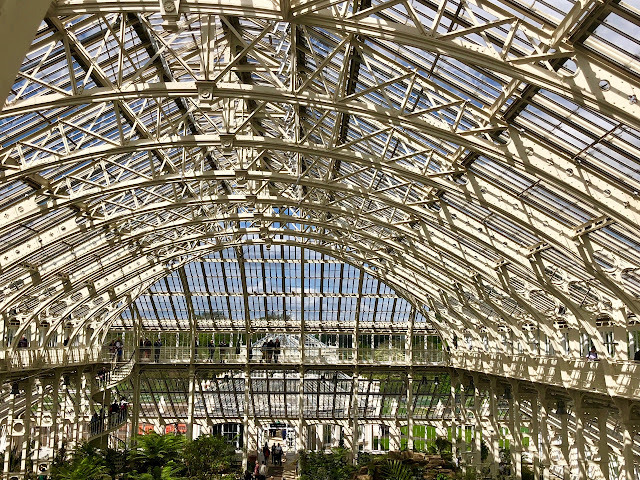 This is one of the great gardens of the world. I'm dedicating today's post to fellow Blotanists - Teza (Teza's Garden), who is really into shade plants, and Gail (Clay and Limestone), who loves unusual plantings - so hope you both enjoy this post - I know it's on Teza's wishlist, so perhaps you'll get to see this garden in 2010. 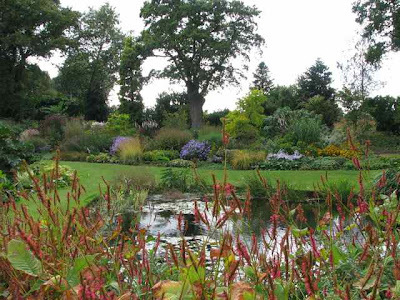 Beautifully laid out around a series of ponds, you will be enchanted not just by the huge variety of water-loving plants, but also the borders, filled to bursting with swathes of colour and unusual plant combinations. The displays are truly mouth-watering!! Skillful planting makes the garden look so much bigger than it really is and you can easily spend half a day here and feel you've covered hundreds of acres, because there are so many different plant species, and such interesting combinations that you'll find yourself touring the garden many, many times. 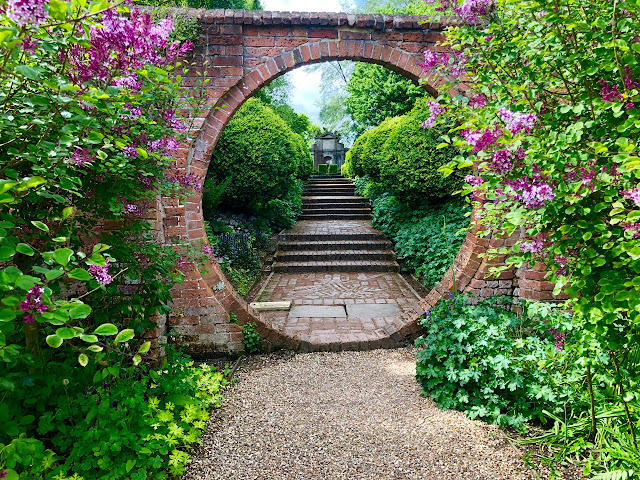 I'm not going to write endless words to accompany this entry because I think the garden speaks for itself (and hope that the pictures give a good impression) - this is definitely one to put on your list. Need I say more? 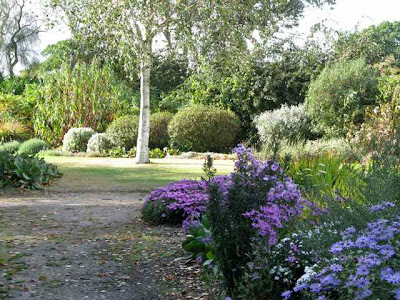 The latest addition by Beth Chatto is the Gravel Garden (below) - laid out in the last couple of years and very much in its infancy compared to the rest of the gardens, but already showing great signs of promise. Combine all of this with a really wonderful nursery and you won't be disappointed. What an amazing display of beauty and creativity! I love the last two photos... a garden to delight all of the senses!! What a gorgeous place! Looks like gardening heaven! Before I clicked on this post, I thought, "Lottie's going to post ONE pic and you can't do Beth Chatto in a single photo." I was so tickled to find how wrong I'd been. Thank you for the wonderful portrayal of this lovely garden. Thank you for including this iconic garden..... I was sitting quite contentedly, staring at the screen, when the nephew came along and shook me from my reverie.... 'you were mumbling something about Beth! Are you okay Uncle.... and just who is Beth anyway?' How does one top this one? 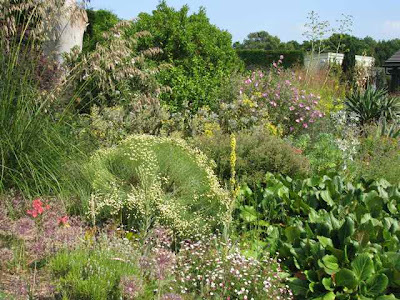 Great photos and really interesting to see the ponds and lush planting as I always associate Beth Chatto's gardens with dry conditions. As I sit surrounded by snow outside, your photos are so warming and inspiring. Thanks for sharing. 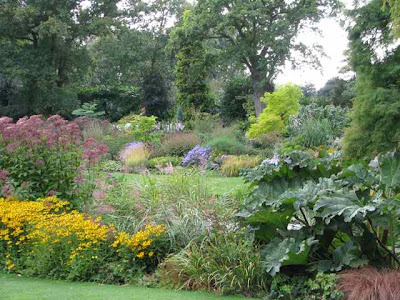 I just read about these gardens in The English Garden magazine. I love learning and seeing more of them here. Just amazing! 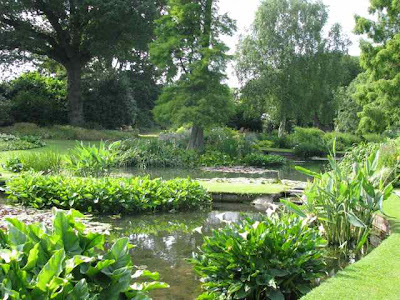 I now have a large list of absolutely gardens to visit for when I get back to visit the UK. I always look forward to your posts and look forward to day 7. Hi Tiggerlot~~ I suppose if you have the right combination of acreage, time, inspiration and tenacity you could end up with a garden like Ms. Chatto's. And the icing would be to take home a cart-load or two of treasures from her nursery. I am really enjoying myself visiting your daily Christmas gardens. Happy New Year 2010! Charlotte, this is a fabulous series of posts to cheer up any winter day. I haven't visited Beth's garden for 2 years but the gravel garden was stunning even in its infancy. Must return for another look. I have Ms. Chatto's "Drought Resistant Planting throughout the year" book, which features her gravel garden. Thanks for the pictures from other vantage points that those in the book. This garden is definitely on my "must see" before I die list.